Rigid Exoskeleton  A rigid out-frame eliminates distortion and assures lens fit, while a pliable O Matter® inner face plate and triple-layer foam give you comfort. Plutonite® Lens Material  Impact resistant, blocks 100% of UVA, UVB, UVC, and harmful blue light. Only Plutonite® stands up to Oakley's performance standards. 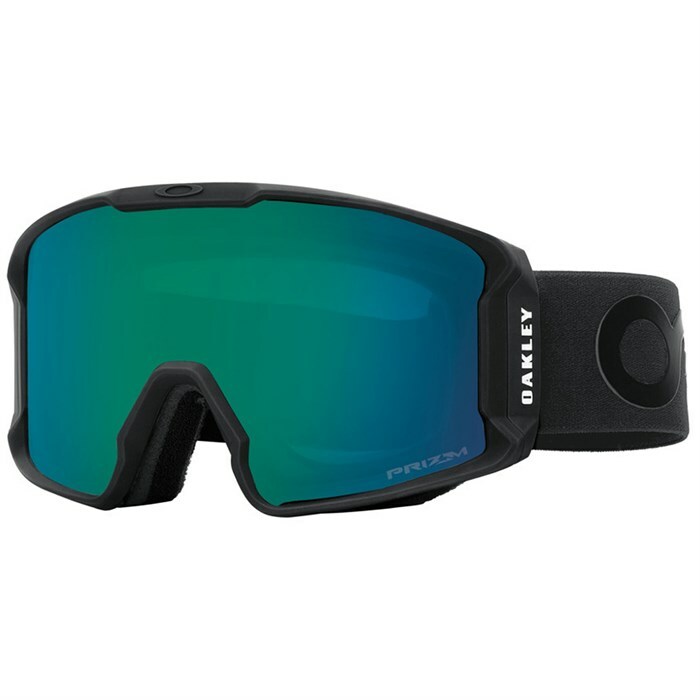 Increased Peripheral Vision  The goggle sits closer to your face than any goggle Oakley has ever created. This increases downward and side-to-side periphery as much as possible. Revolutionary Prizm™ Lens [Select Colorways]  Developed with military and shooting objectives in mind, Oakley's new Prizm™ lens technology blocks strategic wavelengths along the color spectrum to maximize contrast between colors. Interchangeable Lens  All lenses are easily interchangeable, allowing you to pick your favorite Prizm™ lens for any condition. This also allows you to upgrade to a Prizm™ Inferno™ lens option at any time. Discrete Frame Notches at Temples  Provide compatibility with most prescription eyewear, without compromising fit.